Currently available in a 14k yellow gold size 5.75. This ring cannot be exchanged but if needed can be resized for a fee. Contact us for resizing. Expect 3-5 days for shipment of this piece. As soon as your order ships you will receive tracking. 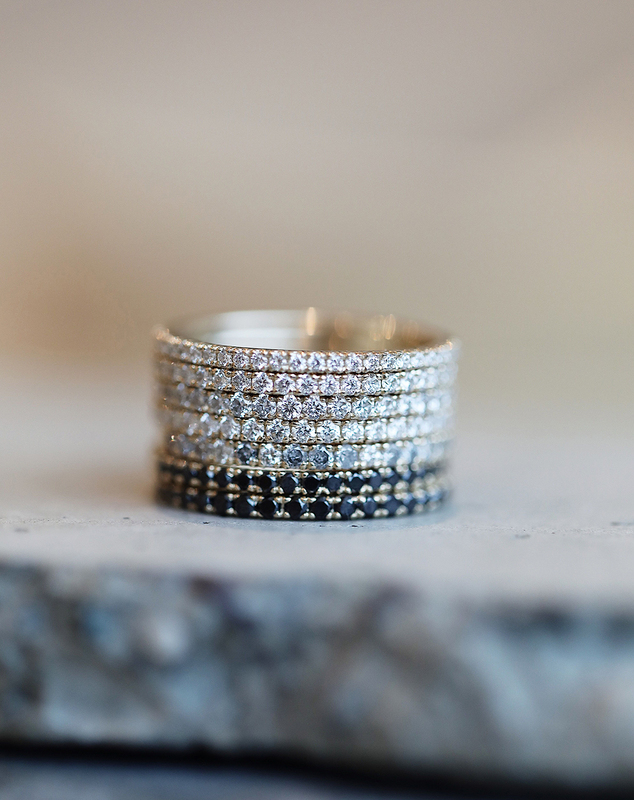 Our bestselling diamond band - dressed in black. 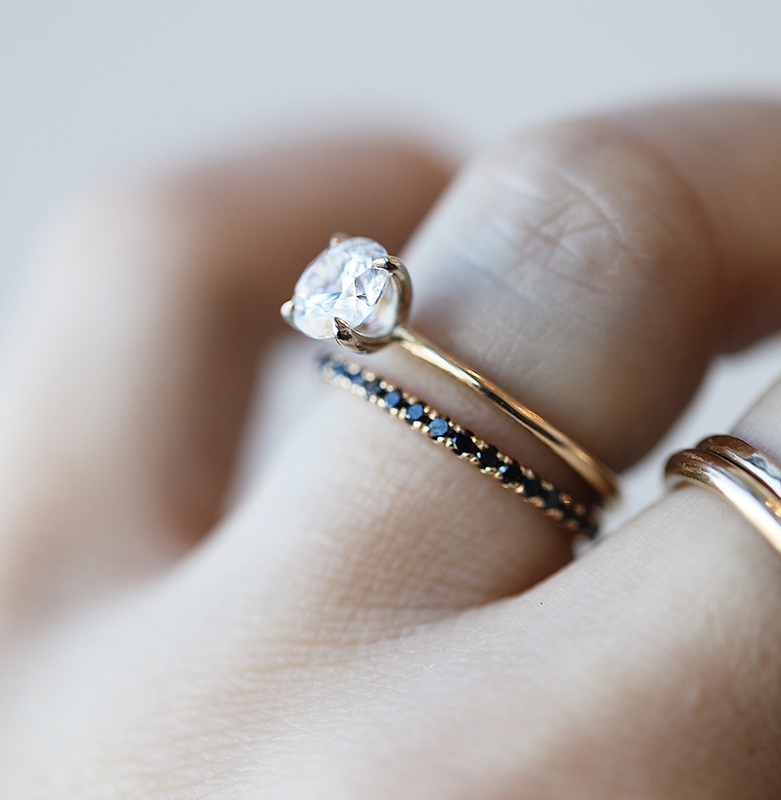 Wear alone for a strong, simple statement or pair with others to create a perfect set and build your story.